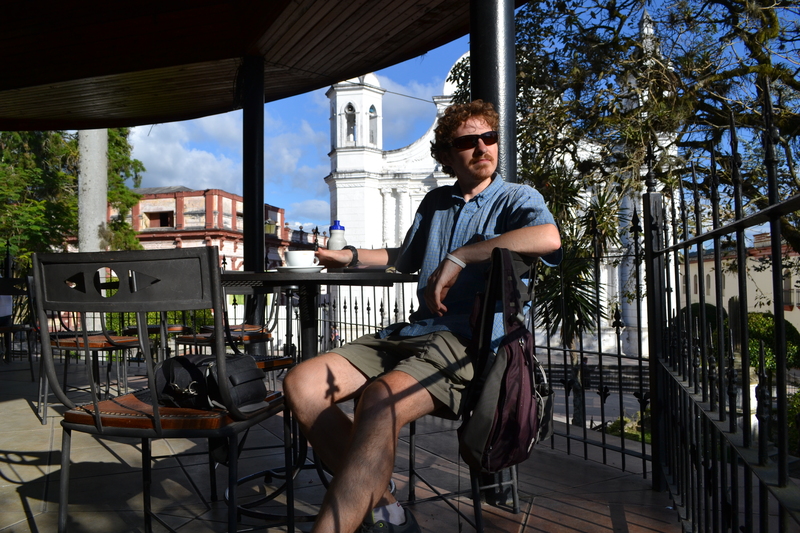 Santa Rosa is a hotbed for Honduran coffee. Most of the country’s coffee is produced in the surrounding areas and the quality is generally quite high. However, there are not many quality cafes in which to drink Honduran coffee, because most of it gets exported to other countries. I successfully avoided “Nespresso” when I visited a cafe in Ocotepeque, preferring herbal tea instead. It’s common that cafes have press-button machines for coffee that have “Nespresso” written the front. I don’t think it’s actually instant Nescafe coffee (though it’s all Nestle owned), but it’s probably close in quality terms. 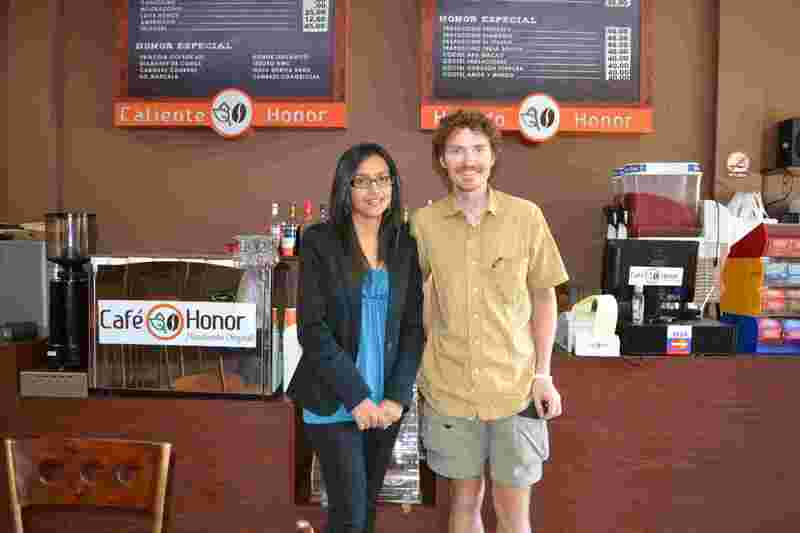 So I couldn’t wait to try some coffee at Cafe Honor when I got to Santa Rosa. I’d heard it was a very special cafe, and not just because of the coffee. 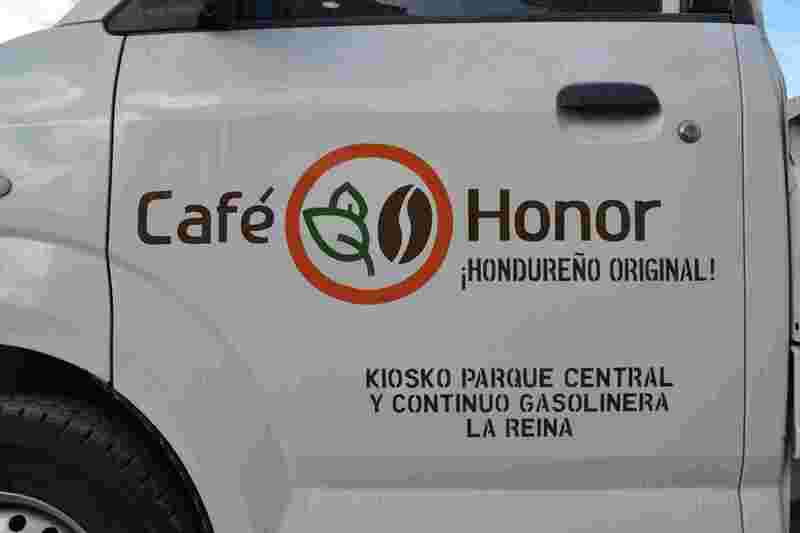 Cafe Honor is a new initiative developed with the help of the Fair Trade labelling organisation (FLO) affiliate for Central America. The cafe, open for less than a year, was established after several Fair Trade Honduran coffee co-ops jointly invested in the project. 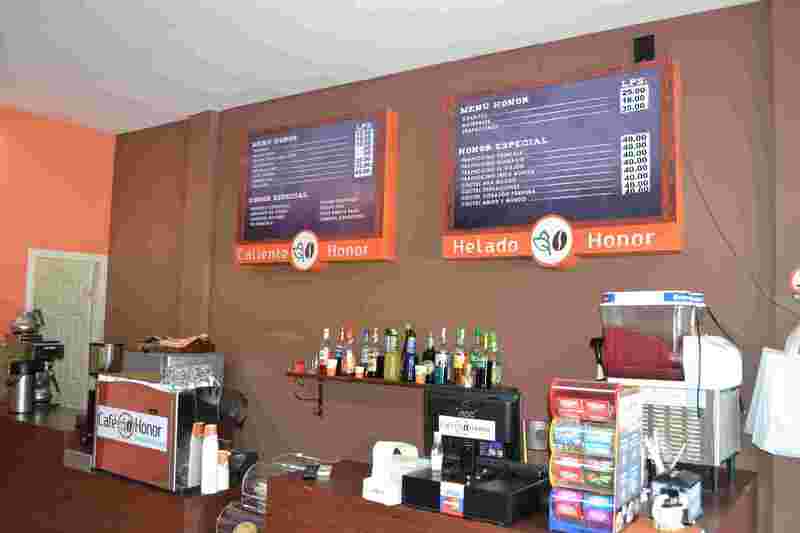 Along with becoming a profitable cafe chain, its aim is to raise the profile of Fair Trade coffee within Honduras and to enable the producers to diversify and increase their income through the cafe investment. There are just under 30 Fair Trade coffee co-operatives in Honduras and Cafe Honor was set up with the collaboration of five of them. Unfortunately for some co-ops the investment required or perceived risk was too high. The first two locations opened last year in Santa Rosa. I made sure to visit both of them. One is in the heart of the old town in the central plaza, a lovely ‘kiosk’ location, where I sat overlooking the tree-filled plaza. The main location is on the main road through town and where I went on my first visit. I sat with Nelson (a different Nelson) who manages the cafe. It’s contemporary, bright, open and would fit perfectly well in North America. It feels clean and uncluttered. The menu is simple with a few snacks but several coffee options. One of the difficulties that producers and co-operatives have (whether or not in Fair Trade) is lack of opportunity. Even within a co-operative, a producer typically only earns the price of the exported coffee. They are dependent on the coffee buyers from other countries and the price they are willing to pay. If not in Fair Trade, they sell at the market price. Being able to diversify via a project like Cafe Honor gives the co-operatives and their producers a way to obtain additional income. They now have opportunities to earn more, to educate the producers, improve the quality of their coffee, and promote their coffee within Honduras. There are plans to expand the number of cafes to other cities within the country. While I was at Cafe Honor I had another appointment I was excited about. I met Xiomara Paredes, who works for…wait for it…the Coordination of Latinamerican and Caribbean Fair Trade Small Producers (Coordinadora Latinoamericana y del Caribe de Pequeños Productores de Comercio Justo), or CLAC. This is a non-profit organisation whose mission is focused on helping small producers throughout Latin America. In its 20-year existence, it has given producers in developing countries a unified voice, particularly when it comes to dealing with many northern Fair Trade groups. CLAC has long argued (with many others) that the balance of power in Fair Trade is tilted too much towards decision-makers in northern developed countries. In recent years CLAC has developed its own ‘stamp’ for fair trade, “productores pequenos” (small producers). This stamp is becoming more common for Fair Trade products sold within Latin America, but can also be found on some products in developed countries. It helps promote Fair Trade within Latin America. Xiomara said that CLAC are very supportive of initiatives like Cafe Honor. She gave me a good insight into a more ‘southern’ perspective of Fair Trade. The following day I made a visit to the kiosk location of Cafe Honor, a lovely location overlooking the central plaza in the town. The sun shone warmly, the coffee was good, and I lingered to savour and reflect on my “Fair Trade” days around Santa Rosa. Santa Rosa was obviously a good place to be based. Pleased you met FT people as well having some interesting coffee stops.